Home » From Suneeta's Desk » How ‘tech savvy’ do I need to be? How ‘tech savvy’ do I need to be? Now that’s a discussion just waiting to happen! Within The Granny Cloud, we have several support groups, and communities on Facebook and elsewhere. These are places where Grannies share ideas and experiences; exhilarate in the joy of a connection, and commiserate with each other when they and the children wait endlessly for that connection to happen. 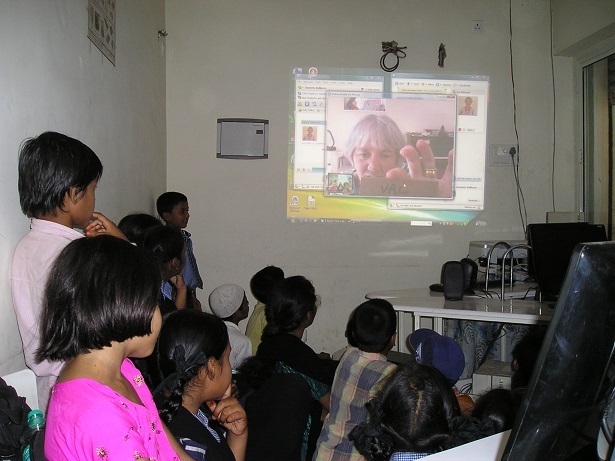 These are places where Grannies and coordinators share ideas that have worked for them, as well as other ideas that they are exploring – sometimes in collaboration with each other. And if conversations in the groups in the recent past (2017 to 2018) are anything to go by, there is a lot of interest and even some knowledge of ‘fancy stuff like coding and programming’ and weaving sessions with the children around these skills. You can’t help but notice the range of responses to these conversations. Some Grannies jump into them enthusiastically, wanting to share every last bit of information they have about these new strategies/possibilities. Other Grannies move in tentatively, seeking help in keeping with their desire to try out and learn something specific that is new to them. Some Grannies go completely quiet as they try to grapple with this conversation that makes little to no sense. 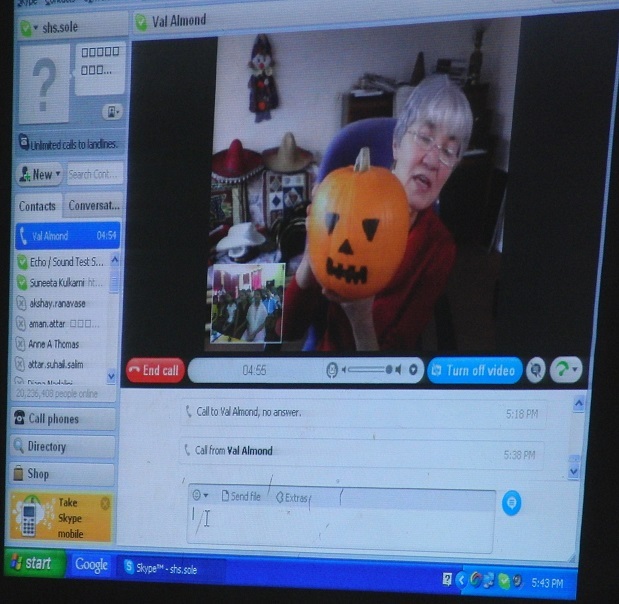 Several Grannies will admit to needing the services of the youngsters in their lives – children, nieces and nephews, even grandchildren – to help them configure a new computer or phone, or to show them how to use the many ‘wondrous’ possibilities that a new version of a browser or an app allow for. It is never ending as the technological possibilities explode around us. We held our heads high as we learnt to adjust the lighting to provide a clearer picture, and we discovered the text chat that showed up on the side of the frame (even the emoticons). And when we discovered ‘screen sharing’? Oh my! Many of us were in seventh heaven as we began to realise the windows (no pun intended!) that opened up for the kind and scope of activities we could engage in with the children. I remember the very first times that Sugata and I (in preparation for the Granny Cloud) tried out Skype across the UK and India and revelling, not only in the opportunities it created, but also thrilled that one did not have to factor in the cost of every minute and second of an expensive International phone call! In the early days, we called each other to ‘practice’. 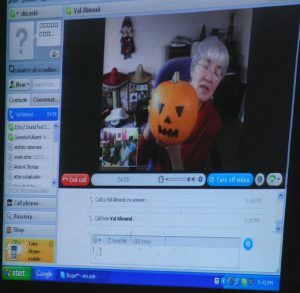 Skype was new and all of us Grannies were new to it. Most of us belonged to a generation that had not been born into this technology; and mobile phones and the internet were not things we took for granted. So what has changed? Has it really? Certainly the profile of Grannies (not to mention their ages!) has changed, as has the profile of the children. Most children today, even in the remote locations, are aware of and often have (even if it is minimal) access to the internet because of mobile phones. 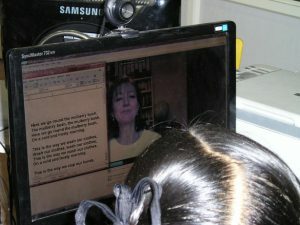 Many of them have seen computers even before they step into a lab and quite a few of them (including their parents) have a sense of the difference this could bring to their lives. And what of the Grannies? Well, the average age has dropped substantially! And the job profiles have changed. Quite a few are at the beginning of their careers rather than already into retirement. And nor are they mainly teachers either. The mix of professions within The Granny Cloud is quite fascinating – from government officials and senior management to software programmers to engineering and medical students. The list can go on… Apart from teachers, that is…. And what about accents? Nationalities? Gone are the days when The Granny Cloud comprised almost exclusively of people from the UK with English as their native language. And so it is with the range of ‘tech savvyness’ within our group… Some use the internet and related technology as an essential component of their professional life. Others (like me!) use it only as a tool to enable my interactions with children and other Grannies. I need help making sense of most of it and I’m more than happy to get it from young friends, other Grannies who are more tech-savvy than me, and yet others with the needed professional expertise. But only when I need it. 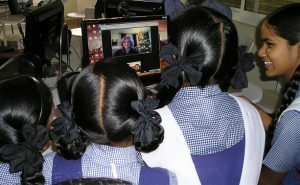 So, at the end of the day, what matters is not how terrific my hold over the technology is – nor how many different kinds of software I am acquainted with – but whether (as a person) I am committed to the children, whether I really hear what they have to say, whether I can draw and hold their attention with the way I modulate my voice and use my facial expressions and hand gestures, and perhaps a picture, or a toy here and there. I can learn to use the technology I need and what I can’t do – other Grannies can help with that. Just as much as I contribute to their sessions with my special support. After all – each one of us is different. We bring to this initiative our special set of skills and strengths. And we complement each other. That’s what makes us a team! So do I need to be terribly ‘tech savvy’? Nyaah!